Spring has officially kicked in and there’s no denying that as soon as a single ray of sunshine shines bright, we Brits go a little crazy for a touch of warm weather. December was the ‘mildest’ month on record and our gardens and fields have been fooled into thinking spring started early as daffodils began to bloom. You may be thinking about sprucing up your garden and dusting off your shovels, spades and lawn mowers to tackle winter’s depository of dead weeds and shrubs. However, the thought of cleaning up your garden sounds like a nightmare to the majority of people and will often enough invite a gardener to do the hard work they wish to avoid. But if you love nothing more than spending your Sunday afternoons in the garden, you may be asking how best to spruce up your garden. Tidying up your garden involves a number of steps; owning your garden, adding a spring stimulant, organising your new plants, adding a colour scheme and ordering your furniture. First things first is to make sure your garden doesn’t own you, but you own it! Your garden at this time of year will need a lot of TLC and you will need to grab your garden sheers and cut away anything that looks like it needs a new lease of life. 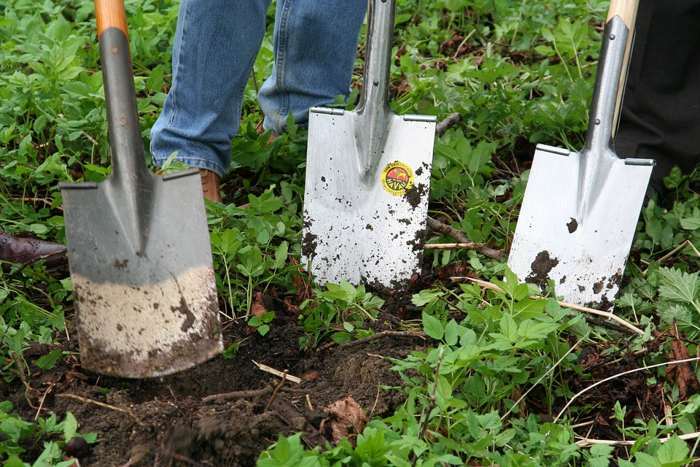 Dead weeds, shrubs and heads of flowers will need to be cut away; making space for new roots to grow back. Once you have completed this process, your garden may look bare and a little too ‘brown’ for your liking, but with the ground still a little damp, it will be easier to pull out weeds and to plant new flowers and perennials. Remember to test the soil first and then add a sprinkling of fertiliser to your plant beds. Once you have visited your local garden centre and purchased all the plants you want, you may need to divide and conquer where you plan to plant them. Perennials will need a little more thought than your average pansy or geranium. You must bear in mind where there is enough light as without light, your perennials will not bloom to full capacity. Map the path of the sun as spring/summer ushers in and ascertain where is best to plant as you may have chosen a spot that is hidden under a canopy of shrubbery, that provides a lot of shade and will prevent growth. 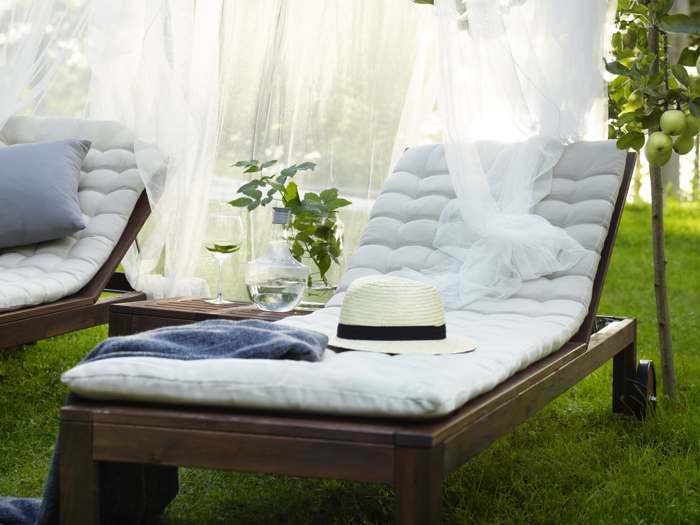 Now your garden is ready to blossom in all its glory, you can begin to think about garden furniture. You may have covered last year’s outdoor table and chairs or you’re thinking about purchasing a brand new teak garden table. Whatever you choose there are a number of things to consider. Once the sun decides to grace us with its presence, gardening retailers will have some of the best deals on the market. 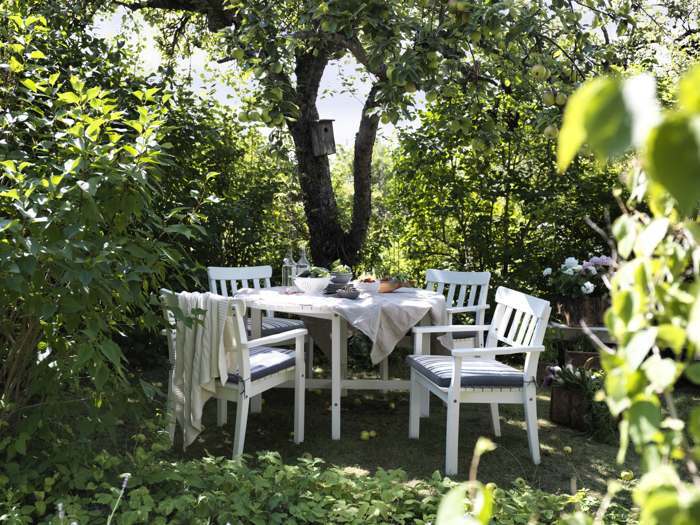 For many, designing the look of your garden is the best part; and depending on the colour scheme of your flower arrangements, your garden furniture will match. 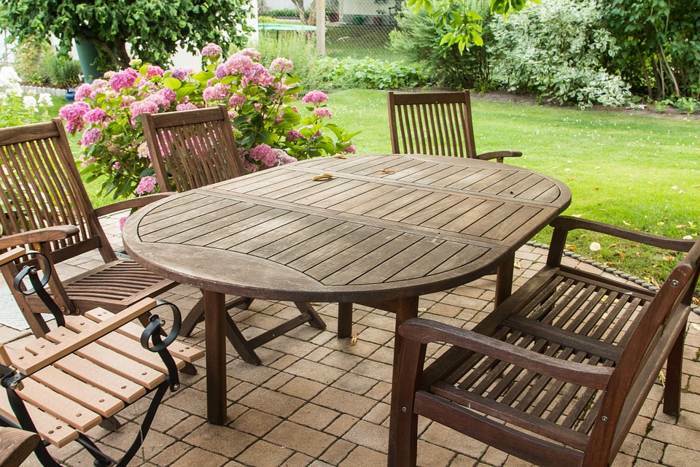 If you own a teak garden furniture set or bespoke wooden garden furniture set, spring cleaning is a must-have. It is entirely safe to leave your set outdoors during the winter months, however, you will most likely have an accumulation of dirt, moss and mould. To clean your garden set, all you need is fresh water to remove dust and dirt. If plain water does not entirely work, try warm water with a touch of soap and use a non-abrasive cloth or sponge to wipe. Once you have dusted off your furniture or purchased a new set, you are ready to decorate. Perhaps, you will order cushions to match your parasol or you will have a spacious patio area for sun loungers. 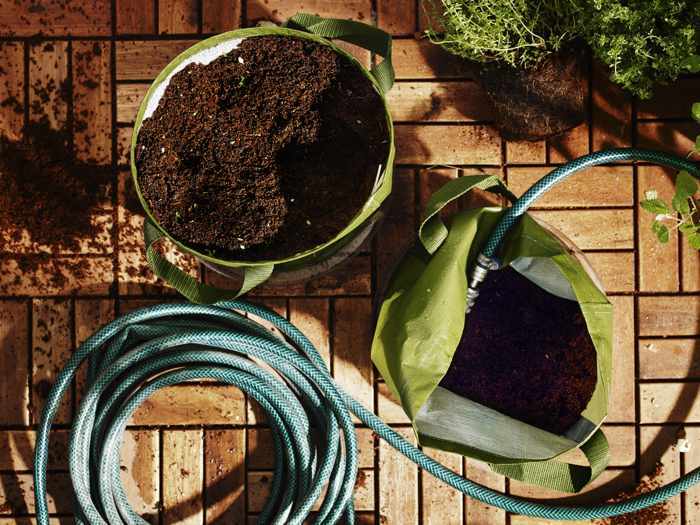 Whatever you choose, spring cleaning your garden is a necessity. To ensure you make the most of British summer (the few days we have), sprucing up your garden begins with tidying up last season’s mess. Despite it being a chore, it can be enjoyed by the entire family and once your garden is maintained for spring/summer, you can sit back and relax and soak up the sun with a well-deserved glass of Pimms!